For the normalisation of blood glucose levels in diabetic patients by feedback controlled insulin delivery, a self-manageable and reliable method for continuous glucose estimation is still not available. By combining a commercially available needle type dialysis probe (molecular cutoff 20,000 Da) with a sensitive glucose sensor, we obtained a device for continuous glucose measurement in dialysate. This device was tested in healthy volunteers during a 75-g oral glucose tolerance test and in Type 2 (non-insulin-dependent) diabetic patients. Venous glucose and subcutaneous sensor signal were followed for 300 min (ten healthy subjects), 21 h (three healthy subjects) or 9 h (seven Type 2 diabetic patients). The recovery of the microdialysis was interindividually different, but after calibration, glucose levels in the dialysate and subcutaneous glucose sensor signal correlated well (r = 0.84–0.95). Under the assumption of a physiologic and technical delay between intravenous and subcutaneous glucose, correlation coefficient between intravenous glucose and subcutaneous sensor signal ranged from 0.60 to 0.93. 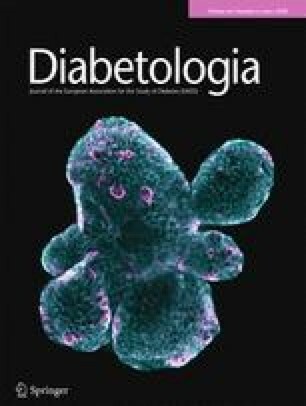 We conclude that changes in blood glucose could be monitored in the subcutaneous tissue by the microdialysis technique in a continuous on line manner.